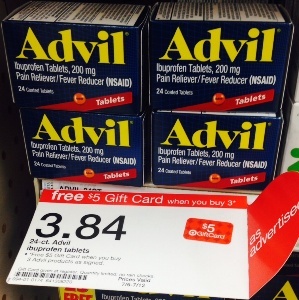 This week you can earn a $5 gift card when you buy select Advil products, which means you can grab the 24 ct boxes of Advil for only $1.17. What is the Red Plum insert you speak of? The Red Plum insert is delivered in some Sunday newspapers. What zip code are you finding the Pure Via Sweeetner under? I do not have it.